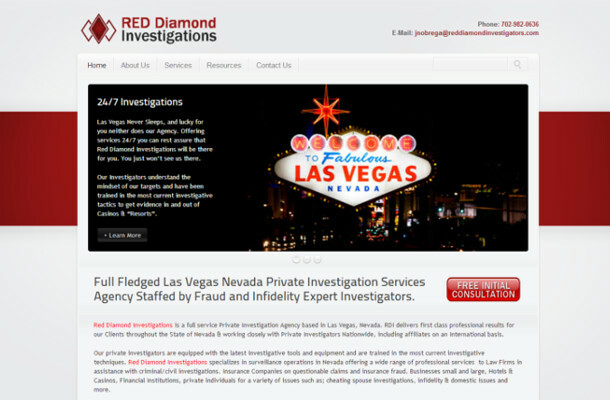 Red Diamond Investigations is a private investigations firm based out of Las Vegas Nevada. They were hosted by a company that was charging them $115 dollars a month for a basic website that did not provide any information to their customers. 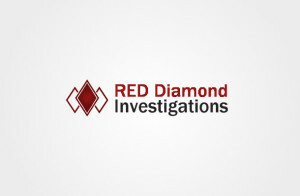 The problem that we faced with RDI, was that their hosting company did not release our client’s domain name. 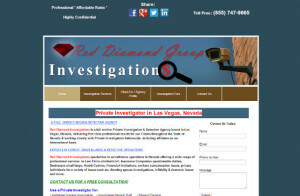 They wanted our client to purchase the domain name for an added $99 dollar fee. 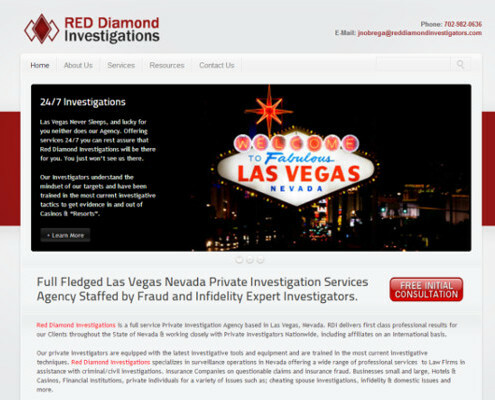 We were able to register our client a new domain name, re-designed their website, and created a logo to fit the company brand.